An addition to great products and marketing, one of the most important things that determine the success of an ecommerce business is its website. To bring success, an ecommerce site should not only be user-friendly but also be optimized for maximum conversions and should be very easily manageable. Each ecommerce site is different. Yet, there are certain features and best practices that almost all successful ecommerce sites follow. During the design process, it’s not unlikely that one or two such features will skip the eye of the designer. Based on our experience of completing numerous ecommerce design projects, we have decided to create a comprehensive list of general features that a well-designed ecommerce site should have. 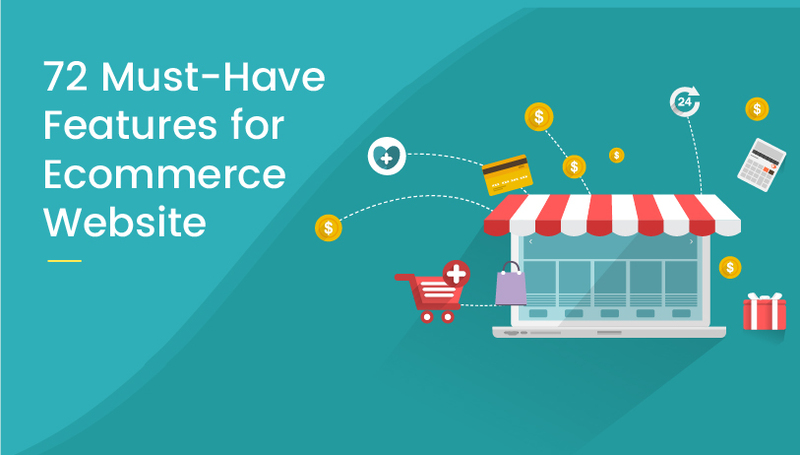 The following infographic visually represents these ecommerce website features. For a better presentation, we have divided the features based on different pages of the site. So, for example, you can clearly see the recommended features of a checkout page by viewing the relevant section in the infographic. There are also sections for Home page, Catagory page, Product page and Blog. Apart from these, we have also mentioned the essential back-end features of an ecommerce site. After all, the look of your site matters but the manageability matters no less. Most of the standard ecommerce platforms have these back-end features. Still, it’s worth a look to ensure that the backend management tool that you are using actually have all the things that we have mentioned. Additionally, the infographic mentions some miscellaneous features like responsive design, backup and security just to provide a gentle reminder. We hope that with all the features that we have mentioned, this infographic will work as a handy guide for designing an ecommerce site or during any redesign process that you might be planning.